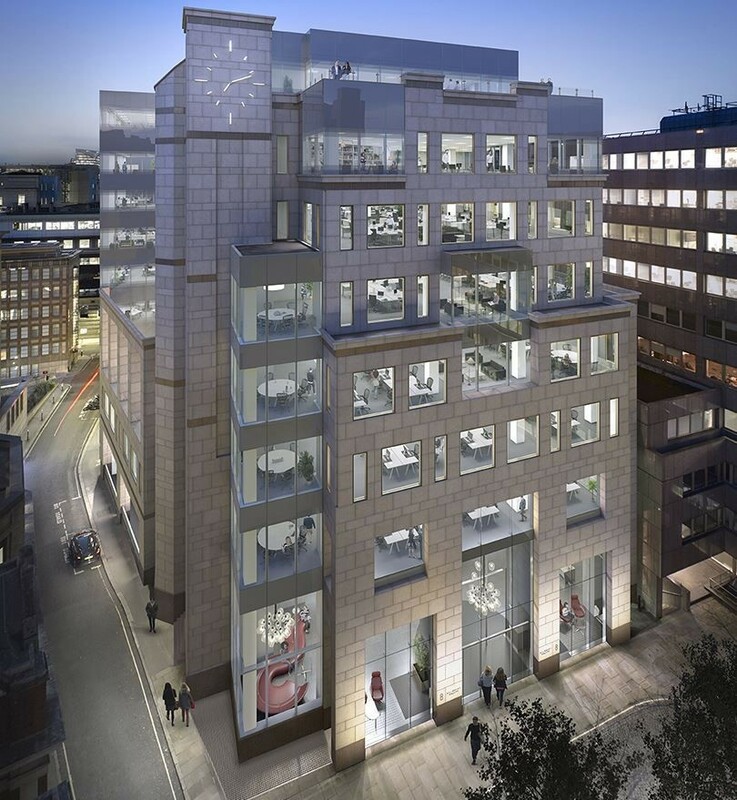 Working closely with TP Bennett Architects, we were commissioned to create a contemporary exterior clock for 8 Salisbury Square, London. in accordance with the architect’s speci cation. We manufactured all the parts, including the electrical conduit for the rear of the wall, and installed them on the wall panels at the contractor’s workshops before they were transported to site. 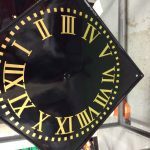 a 4.5 x 3.5m clock on the cladding. Each marker has internal LED lighting with a secondary set of LEDs making the lighting fail-safe. 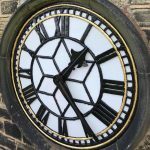 In keeping with the size of this clock and reliability requirements, a Smith of Derby T400 synchronous movement is used to keep time to +/- 1 second a month and incorporates slip rings to transmit power to the LED illuminated hands. The installation incorporates a back-up system for timekeeping and automatic summer/winter time changeover.